As the capital of the People's Republic of China, Beijing serves as the nation's centre of politics, culture, international exchange and scientific innovation. With a history of over 3,000 years and a capital history of more than 850 years, Beijing is famous for rich historical and cultural relics, including the human fossils of the “Peking Man” who lived in the southern outskirt of Zhoukoudian nearly 700,000 years ago, the Forbidden City, the Temple of Heaven, the Summer Palace, etc. According to Encyclopedia Britannica, "The city has been an integral part of China’s history over the past eight centuries, and nearly every major building of any age in Beijing has at least some national historical significance"..
Today, Beijing is an international metropolis boasting of many modern architectures including the skyscrapers in the Financial Street and the Central Business District, the National Theatre for Performing Arts, Terminal 3 of the Beijing Capital International Airport, the CCTV Headquarters Building, the "Bird's Nest", the "Water Cube", and the newly-inaugurated Olympic Tower. 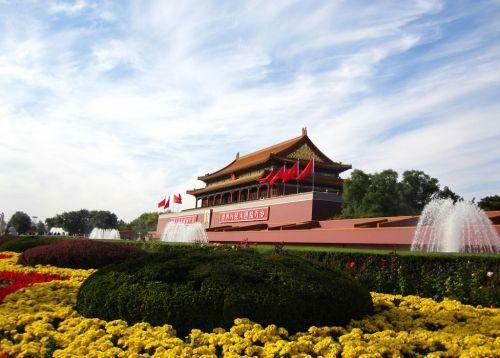 According to official statistics, more than 147 million people visit Beijing every year.